The Alps MD-1000 is a compact personal printer that offers 1200-dpi full-color printing at an affordable price. The Micro Dry process uses long-lasting water-resistant ink and enables very clear printing of text and photographs. IDEO provided the industrial design, which features a simple form appropriate for a range of environments. The curve and angle of the printerï¿½ï¿½s in-tray housing serve to combine its other elements and create an inviting look for the user. Because the product is intended for home use, the design avoids white or light gray colors that are typical of an office setting. If you are looking for a printer that delivers excellent color in exceptional quality, the Alps MD 1000 is for you. 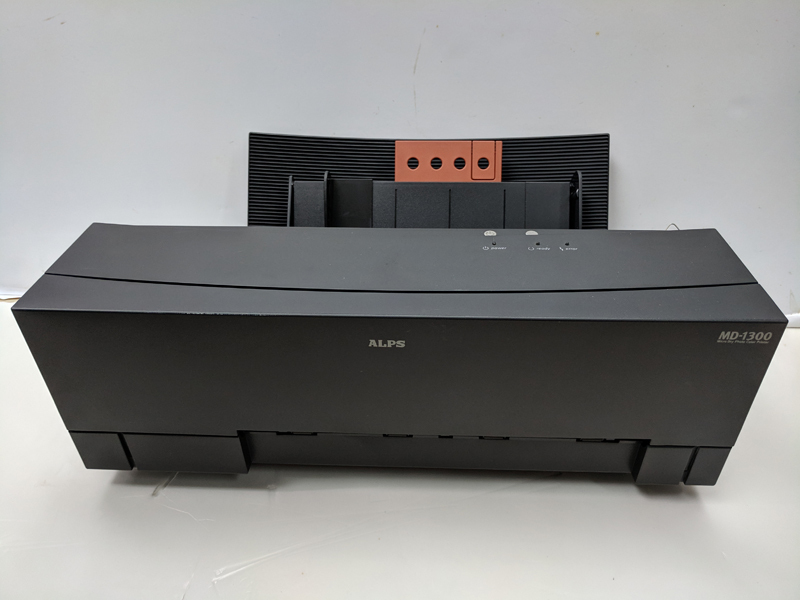 This Alps printer uses Micro Dry inks that give you long-lasting 600 X 1200 dpi prints in both black and color. With a total media capacity of 100, this thermal printer is ideal for your desktop. 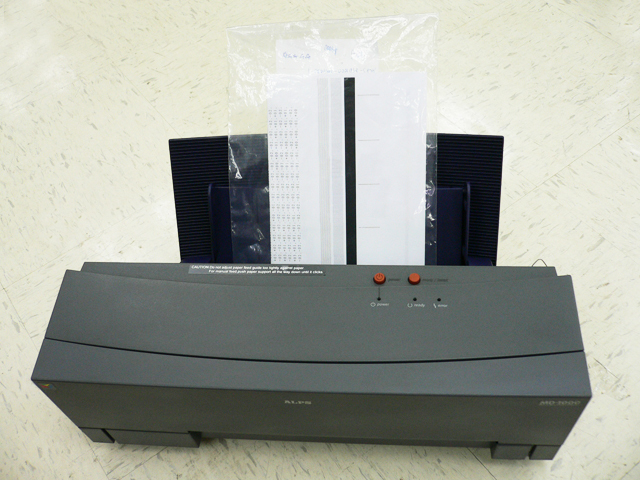 The Alps MD 1000 can print a variety of documents, ranging from legal documents to greeting cards. 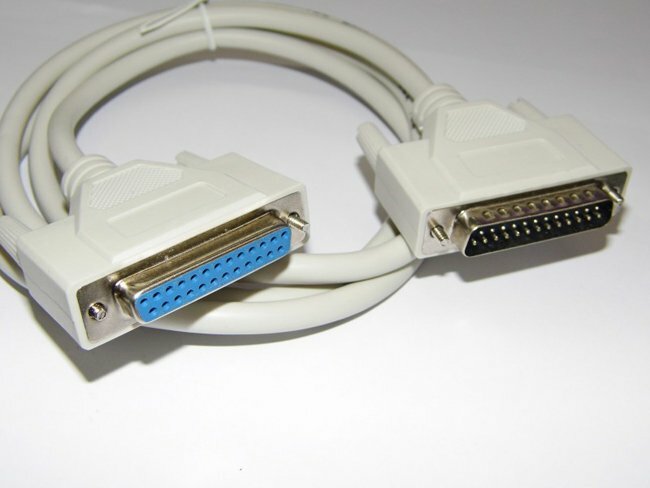 This Alps printer runs on dye-sublimation technology and works with Microsoft Windows 3.x and NT. Sized at 17.41 X 10.99 X 7.53 inches and weighing barely 9.7 pounds, this thermal printer is sleek and will fit into your office dï¿½ï¿½cor beautifully. 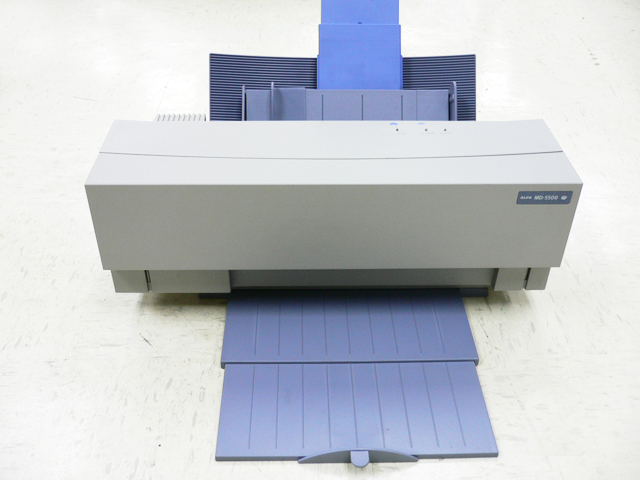 The Alps MD 1000 will take care of all your printing needs in a jiffy. 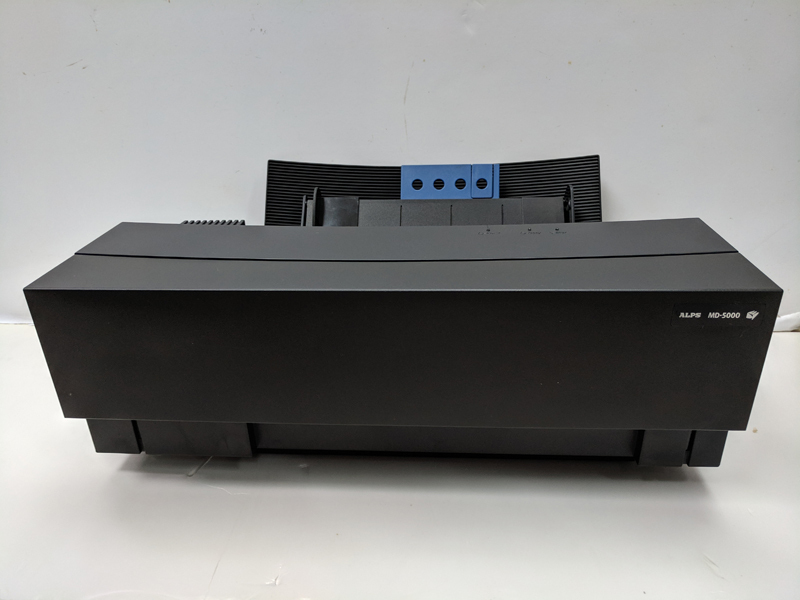 We Sale of ALPS Printers, MD-1000,MD-1300,MD-5000,MD-5500 in various conditions,Provide Alps Inks Supplies,Provide repair service for your ALPS printers,Professional packaging for shipping of ALPS printers!